A global insurer was facing challenges with its local finance and accounting outsourcing partner. 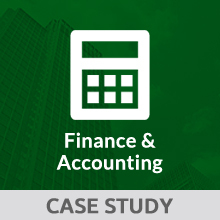 The service was costly and the work was being done on local accounting tools, which created additional challenges in consolidation of international accounts and reports. The client was not only looking to reduce costs but also to develop the necessary skills to build and grow its business long term. Xceedance built an internal team of experienced accountants with international regulatory reporting proficiency. Phase I was completed on schedule over a six-month period. Phase II began on schedule and has an expected completion date of one year. A key challenge was to develop a detailed understanding of all the processes in a short span of time and also provide support for the ongoing quarter close. The lack of pre-existing process documentation meant that the team had to put process manuals in place in real time while learning the processes. Tasks were automated wherever possible, such as building a database for the calculation of premium earnings. The client agreed to a controlled transition plan in two phases. Xceedance was able to address the requirement by successfully transitioning travel expenses and accounts payable in Phase I and General Ledger Accounting, Balance Sheet Reconciliations and Statutory and regulatory reporting for regional regulatory requirements in Phase II.